As cold and chaotic as any winter in recent memory may be, there is something to be said for the pristine enchantment of a morning after a heavy snowfall. The crisp air, crunch underfoot, icicles, and the way the light plays over all of it; diamond-laced and dreamlike, the perfect ingredients to a whimsical wedding or engagement. Winter weddings are gaining in popularity across social classes because of the bounty of options available for every budget, theme, wardrobe, and guest list size. In this article, we make a case for the winter wedding, and why we think it's the perfect time to tie the knot. First off, before we dig into this topic, let's take a brief look at some fine famous folks who either got engaged or tied the knot during the winter season. Bubble-gum pop-star Vanessa Carlton, Strokes guitarist Albert Hammond Jr., Ben Harper (who married Jurassic Park's Laura Dern), and Jennifer Anniston all got married during the winter –for starters. Winter weddings are also quite popular in Bollywood with weddings of such stars and power-couples as Saif Ali Khan with Kareena Kapoor, Imran Khan with Avantika Malik, and Hrithik Roshan to Sussanne Khan. With the majority of all weddings taking place during the warmer months right through to late autumn, winter is typically wedding low season. We started with celebrity weddings because we also wanted to make it icicle-clear that winter weddings aren’t viable only because of the monetary savings they provide; however, since pricing can be half of what it might be during wedding high-season, it's much easier to have that picturesque, glamorous wedding you've always longed for. The real savings come at the cost of a wedding ceremony or reception venues and accents; talk to your wedding planner to discover the full breadth of savings possible, it isn’t difficult to find an amazing venue for wedding in Newcastle. White weddings are a classic expression of an age-old rite of passage for young lovers, and having nature play along with the color palette can have incredible results. 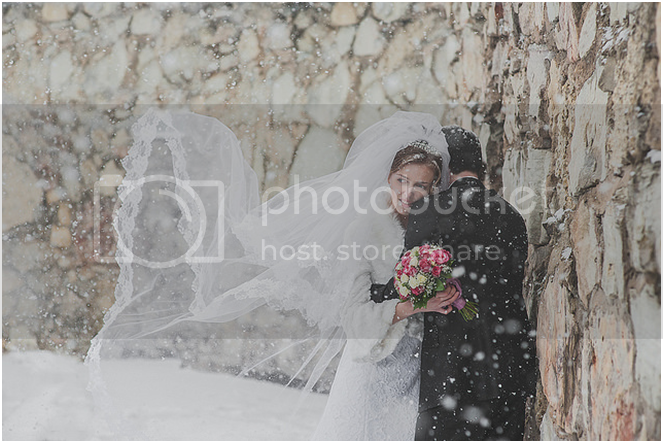 Wedding photos with snow-capped backdrops come out more bright and vivid, with lines much more defined. The cooler weather makes for healthy-looking rosy complexions, and the foods of the season make for a great wedding reception menu. Seasonal wedding accents such as pine cones or pine branches also come at little to no cost, whatsoever –and they make great table arrangements. With everyone so close at hand for the holidays, it's incredibly easy to ensure wedding guest attendance during the holidays. Given everyone you're spending the holidays with are those you'd like at your wedding, that is. Quite often weddings take place a year after an engagement, and a lot of engagements happen over the holidays so the timing seems quite sound no matter how one looks at it. The last point is perhaps the most obvious; a winter wedding –and maybe even more-so, a Christmas wedding-- has a fairy-tale quality to it. The cold, pristine outdoors, the warmth and merry hearts inside, the wine, the song, light reflecting off Jack Frost's kisses through fogged windows, and the seasonal magic intertwining with the lift of butterflies and a bright future.. It's almost kismet. If you’re considering a winter wedding, debate it no further; winter weddings are beautiful, fashionable, and cost-effective. And I think it’s safe to say that no other wedding season can hit all of these factors as easily as winter.